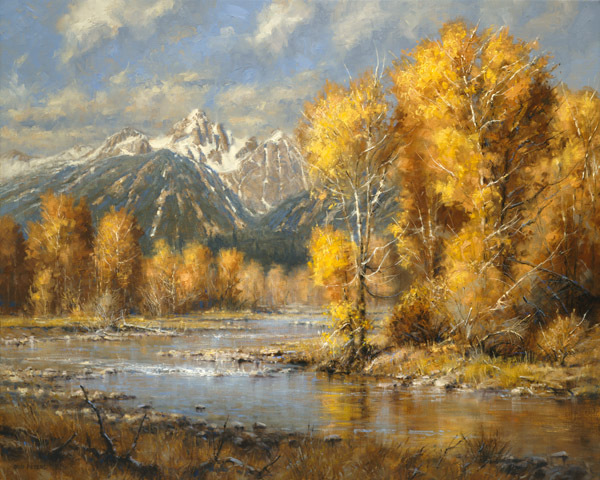 Peters loves to paint the West and the vast panoramas that astound with their beauty. Fall has arrived with the many shades of orange and gold in the trees, and the air is turning crisp and cool. The snow-capped mountains in the distance complete this beautiful image.